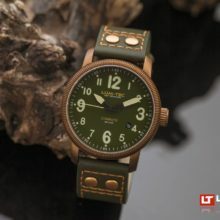 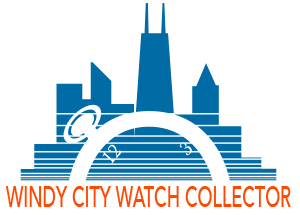 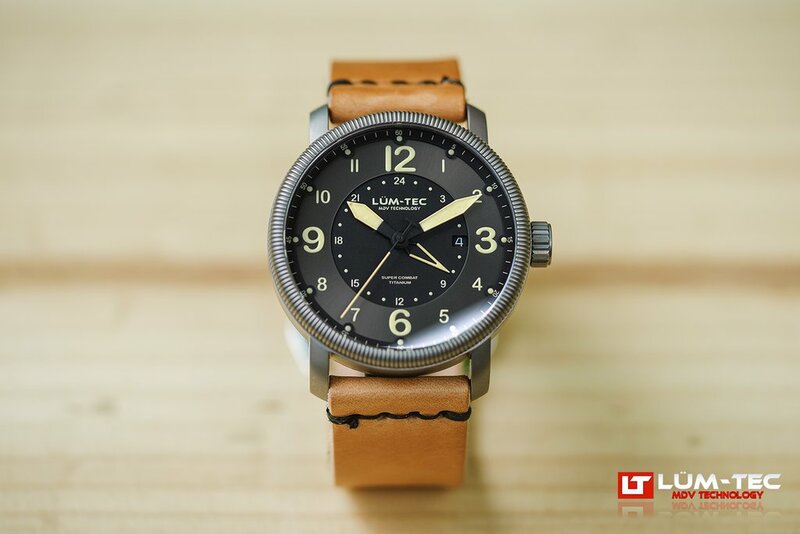 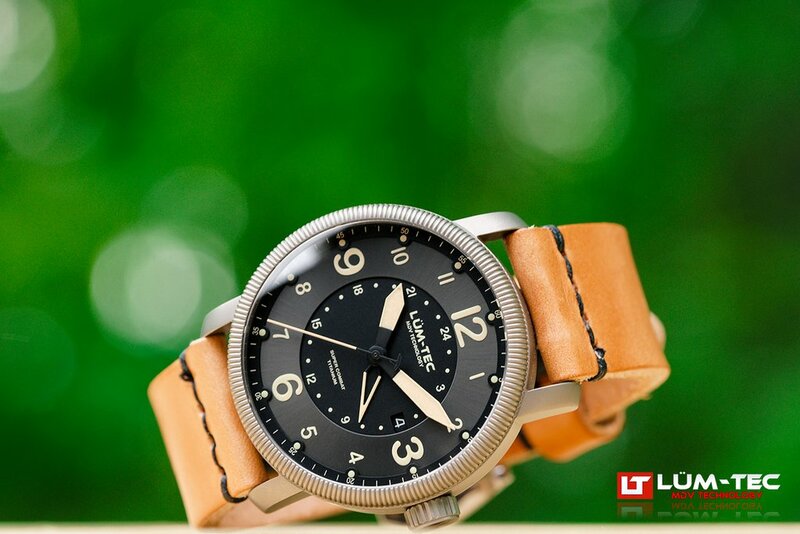 LÜM-TEC watches are made with only the best available materials and components (worldwide) and are all handcrafted by their team of professional watchmakers in Mentor, OH. 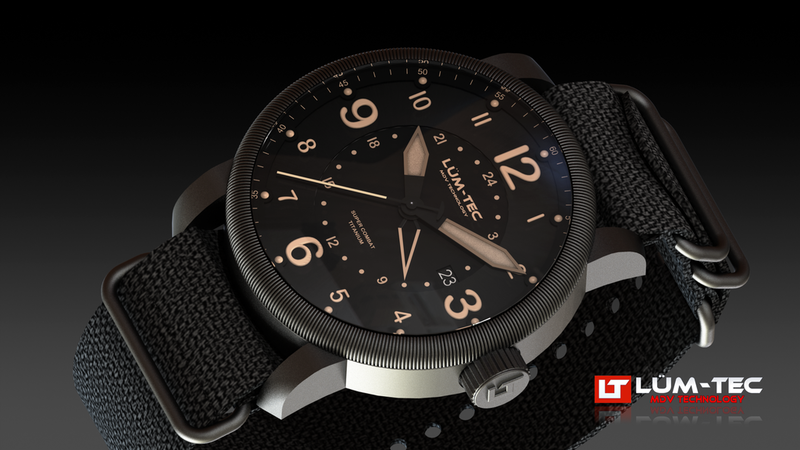 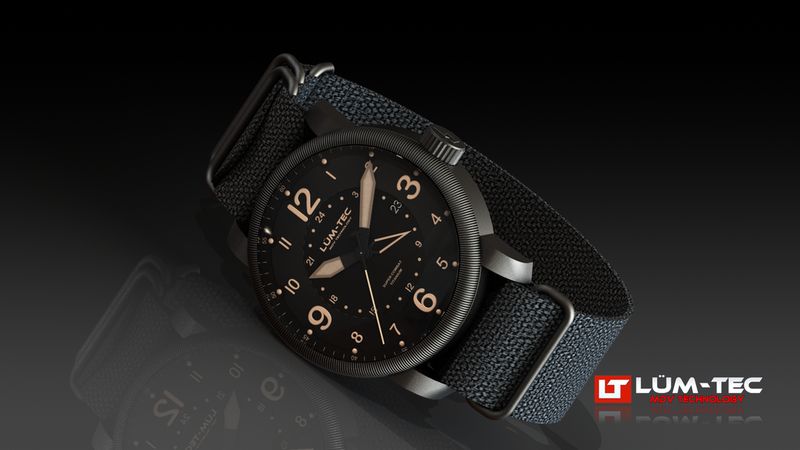 The case of this watch, the Lum-Tec Super Combat B4 GMT, in hardened black PVD titanium, measures 45mm. 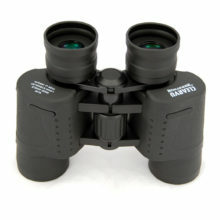 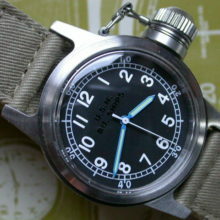 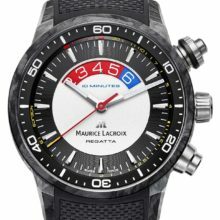 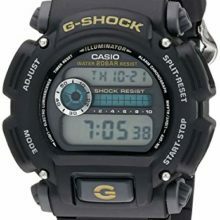 It has a double-curved AR-coated sapphire crystal and it is water resistant to 300 meters. 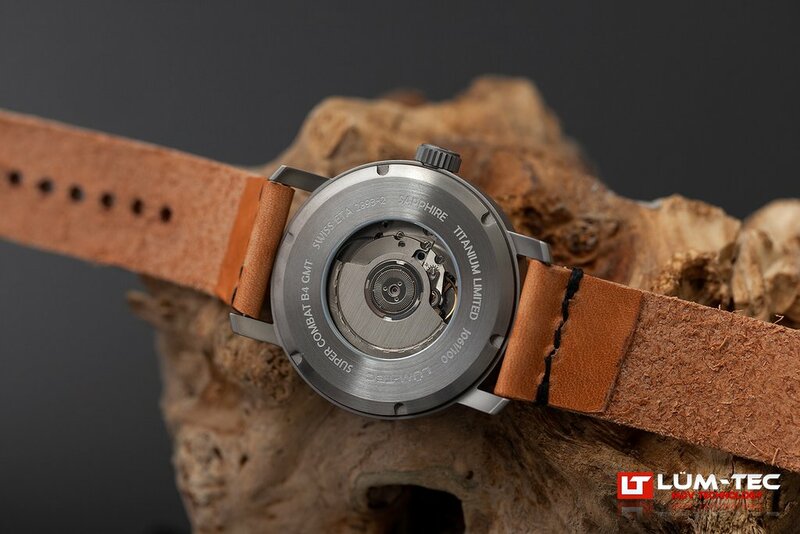 The movement is the Swiss automatic ETA caliber 2893-2 with 21 jewels, 28,800 vph and a power reserve of 42 hours. 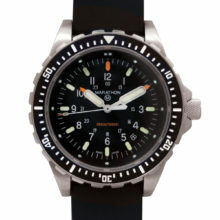 Functions are: hours, minutes, central seconds, date and GMT complication. 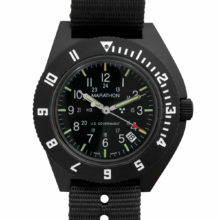 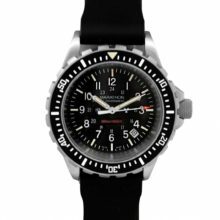 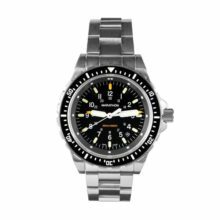 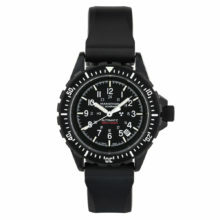 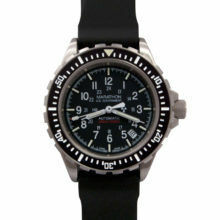 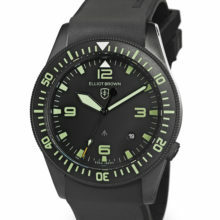 The LÜM-TEC Super Combat B4 GMT has a three-layer dial with bead blasted black PVD and black sunburst finish. 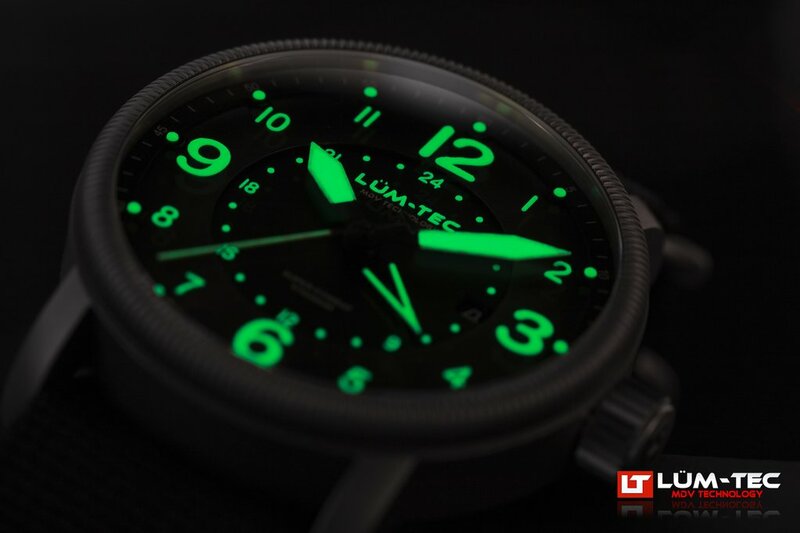 The illumination utilizes LÜM-TEC MDV technology in the dial and hands with grade X1 Super-Luminova. 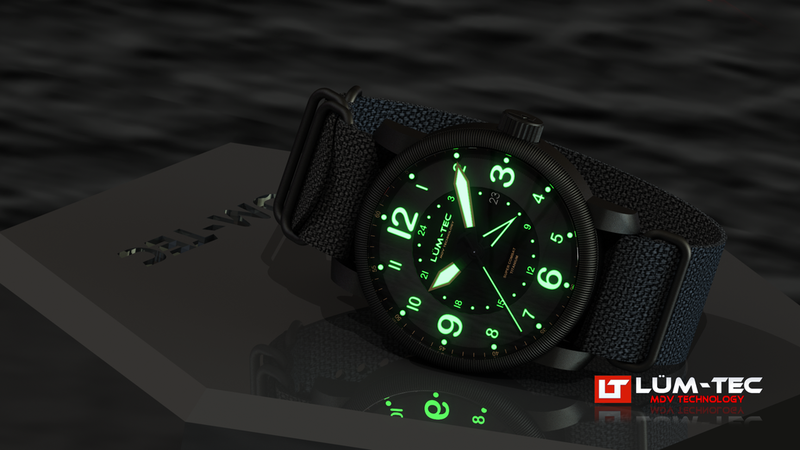 MDV is a special 8 layer application of ultra bright glowing Super-Luminova photo-luminescent material. 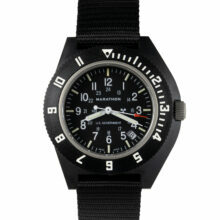 MDV hands and dials are extremely visible in all light conditions. 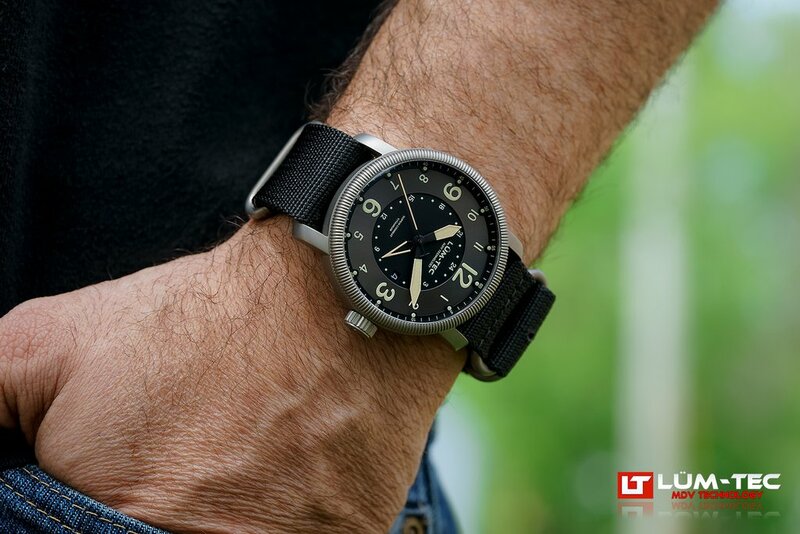 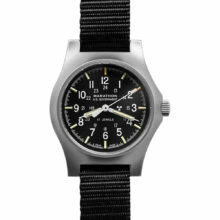 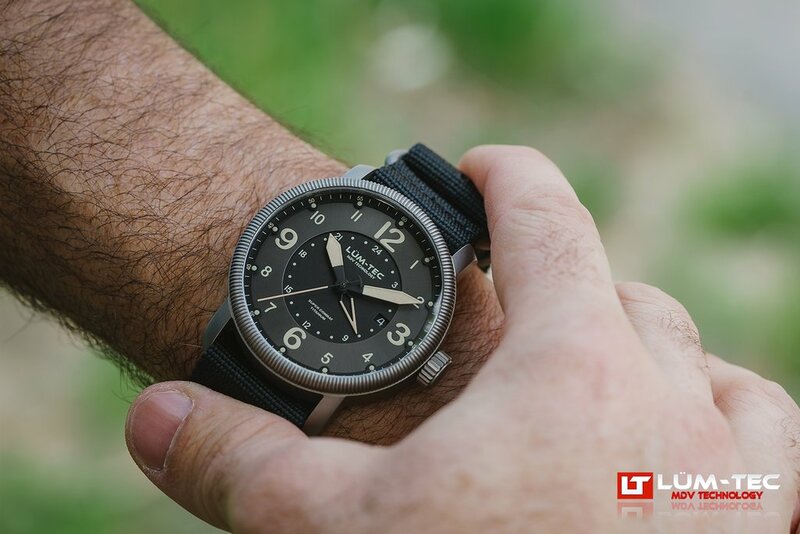 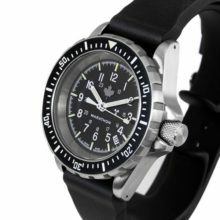 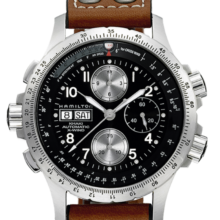 It comes on a 24mm black nylon military strap with hardened titanium PVD rings and an additional handmade brown Chromexcel leather strap by DeLuca of San Diego.